V rays, pollution and stress are the main causes for the formation of free radicals. Just a few drops of this antioxidative hyaluron serum help to visibly prevent the associated skin aging. UV rays, pollution and stress are the main causes for the formation of free radicals. Just a few drops of this antioxidative hyaluron serum help to visibly prevent the associated skin aging. 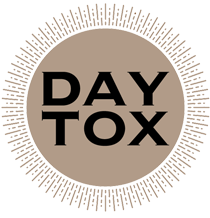 An anti-aging `bodyguard` with precious hyaluron and the highly active DETOX complex ´BioDtox´, which instantly and visibly reduces redness and evens out your skin tone and complexion. Apply a few drops onto the fingertips, morning and evening and massage gently onto the skin. Suitable as foundation for further care.